A federal jury ruled the city and a police officer were not at fault in the death of a mentally disturbed former Marine who was shot in his apartment five years ago after a 90-minute confrontation with the police, a federal jury found in a civil case on Thursday. The former Marine, Kenneth Chamberlain Sr., who was also a retired corrections officer, accidentally triggered his life-alert pendant early on the morning of Nov. 19, 2011. A group of police officers responded at his ground-floor apartment in a housing project, and after breaking down his door tried to subdue him with beanbag rounds and a Taser weapon. According to accounts from law enforcement, Mr. Chamberlain, 68, was charging at one of the officers with a kitchen knife when another officer, Anthony Carelli, fired his .40-caliber pistol. 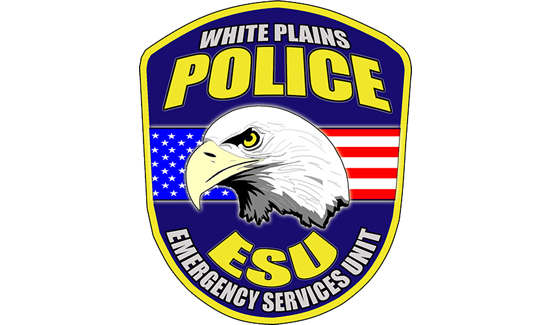 During the trial this week in White Plains, the officer who was confronted by Mr. Chamberlain said Mr. Carelli had saved his life. According to an in-depth report in the New York Times by Lisa Foderaro, after the shooting, a grand jury declined to indict Mr. Carelli. But Mr. Chamberlain’s family, in its $21 million wrongful-death lawsuit, argued that the police should not have forced their way into his apartment and did not use every means at their disposal to resolve the situation peacefully. The family contended that Mr. Chamberlain was down on the ground when he was shot, citing the location of a bullet hole in the wall and the force of the beanbag ammunition. The killing of Mr. Chamberlain, who was African-American, predated a spate of highly publicized police shootings of black men around the country. The shooting also came amid numerous encounters in New York City between the police and emotionally disturbed people, among the most common and difficult calls that officers respond to. The judge in the case, Cathy Seibel, had dismissed most of the claims contained in the lawsuit and excused several of the original defendants, including police officers other than Mr. Carelli. The trial, which began on Nov. 7, explored claims of assault and battery as well as excessive force. During the confrontation, at least one officer taunted Mr. Chamberlain with racial slurs, which were heard on the medical alert agency’s audio recording. Mr. Chamberlain’s family had wanted the jury to hear that language, but the judge did not allow it into evidence.